At Helen’s Cakes and More we offer a range of services. Whether you’re looking for your dream 4-tier wedding cake or your child’s favourite cartoon in the form of edible art, Cakes and More will help bring your vision to life at a competitive price. We can supply cakes for weddings, birthdays, retirements, engagements, baby and bridal showers, christenings, office parties and many more. Our cakes come in wide variety of sizes to suit your party’s needs .Cakes come in a variety of mouth-watering flavours including vanilla, chocolate, lemon, strawberry, carrot, coffee and walnut, banana, Jamaican rum, traditional fruit and egg-less varieties. Whatever your needs, please do not hesitate to contact us so we can discuss your requirements. 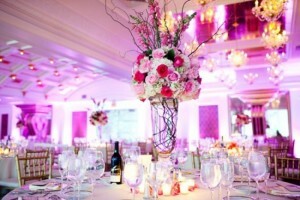 We can also provide beautiful flower arrangements for your event. This includes the arrangement of table centre pieces and other wedding venue flower decorations, bridal and bridesmaid bouquets, button holes and many more. We have a diverse range of fresh or artificial flowers available to suit every occasion and are happy to advise you on suitable designs for your vision and budget. Wow your guests with fantastic centre pieces provided by Helen’s Cakes and More. Centre pieces include 70cm champagne glasses with flowers, fish bowls with candles, balloon art and many more. All Centre pieces are available for hire at competitive prices. 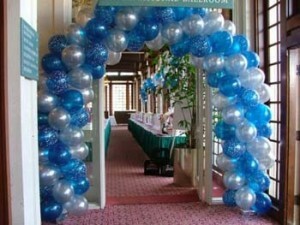 Balloon Art Decoration is a fantastic way to add a spectacular touch to your event venue. Incorporating colours and styles of your choice, we can create balloon arches, columns, hearts, letters, numbers, balloons inside balloons and more. Last but certainly not least, Helen’s Cakes and More are proud to share their profession expertise by running workshops, cake decorating classes’ and one to one private tuition. 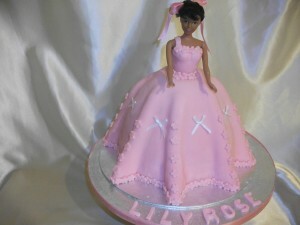 Children’s cake decoration parties are a great way for your children to celebrate their birthdays. For two hours, children will have fun decorating cupcakes, with a variety of different themes available, for them to take home at the end of the party. All materials are provided and prices start at £8 per child. We also run a variety of workshops throughout the year for adults and young people aged 14 and over. 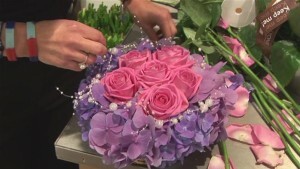 Each workshop covers a different sugar craft skill and classes are limited to a maximum of 6 people. Private one to one tuition is also available on a half day or full day basis. This is aimed at those who want to learn specific skills and you are able to choose what you would like to learn from a long list of option. Please contact us for more information about any of our classes/workshops/parties. Our next group workshops are scheduled for May 2015, please check back or call for more info.